DJ Mag at Work Presents Point Blank – Call Out for DJs! We are thrilled to be teaming up once again with the monster platform that is DJ Mag for a new series of events at Work Bar in London, called DJ Mag at Work Presents Point Blank. For this event we’re offering up to four DJ slots for PB students and alumni to play alongside a very special headliner (TBA). The first event takes place on 31 May 2018 and all you need to do is submit a mix of up to an hour showing off your skills to theo@pointblankmusicschool.com by 13 May, and you could be in with a chance! As well as getting the chance to play on a fully equipped club system, the night will be supported and streamed on both DJ Mag and Point Blank’s social media channels, with a potential reach of well over 1M followers. The event is also free to attend for any PB students past or present, but capacity is limited – to book your place RSVP here! Not a student with us at Point Blank? Not quite ready to play on a club set-up? Why not check out our DJ courses in London to learn everything you need to move the dancefloor. All of our classes have unlimited access to our practise rooms which are fully equipped with all the latest DJ gear from Pioneer DJ and other industry leaders. If you have any questions, contact us on 020 7729 4884. The post DJ Mag at Work Presents Point Blank – Call Out for DJs! appeared first on Point Blank’s Online Magazine. A few weeks ago we were delighted to welcome back a very talented PB alumnus for a live performance. One of the most tenacious students we’ve ever had, NINJA has gone from strength to strength since finishing her course with us in 2010. Back then she studied how to DJ with us on the Complete DJ course, and she has since gone on to create the intricate hybrid live-set you see here, using live instrumentation to build hypnotic webs of rhythm and melody. It was great to have her back, and we think you’ll agree her live set is something to behold. When we last featured NINJA on this website, we told you how she had taken our class on her gap year and dived straight into playing out to her peers when she went to university. Her hustle took her to Ibiza where she’s played at places like Destino and Privilege regularly since. We also told you she was in the middle of developing a live show and getting her head around music production… Well, here we are a couple of years later witnessing the fruits of her labour, a truly unique set that trades deep tech-house against microtonal melody, resulting in a masterful exercise in texture, tension and release. NINJA’s also says she’s planning on releasing her first album, titled ‘The Thirteenth Code’, before this summer. As ever, we’re inclined to believe she’ll make it happen. 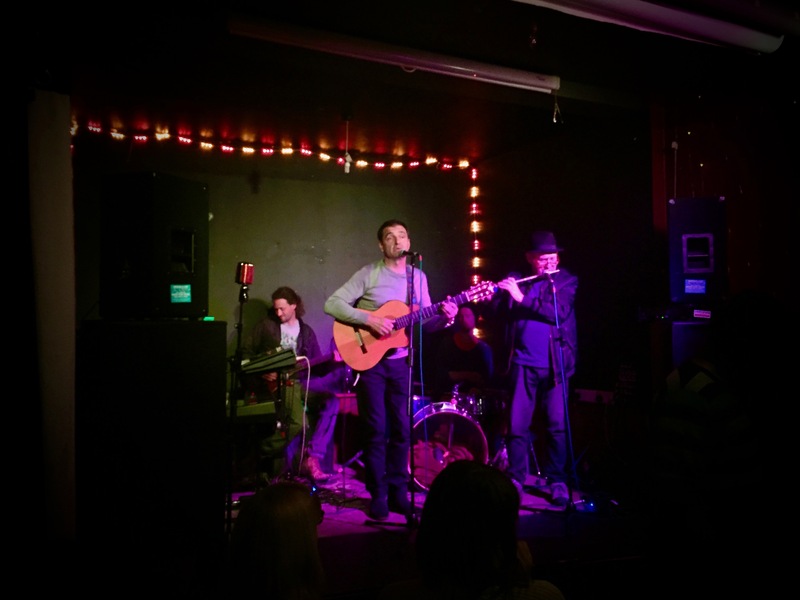 If you’d like to try your hand at performing live, our in-house live don Saytek teaches a module on live performance as part of our music production degree programmes. Check out Saytek’s recent live demo on the new Roland TR-8S for a demonstration of what he can do. Find out about the range of DJ courses, of which NINJA is an alumnus, too. Any questions, call +44 20 7729 4884 to speak with a course advisor. The post Watch a Special Live Performance by NINJA at Point Blank London appeared first on Point Blank’s Online Magazine. Earlier this year we were delighted to have top Australian DJ and Vlogger DJ Ravine join us for an introduction to making a track in Ableton Live. Known for his top mixes and instructional videos that he shares with his legions of subscribers on YouTube (480k and counting), Ravine was keen to learn more about how to start making his own tracks. We must have done something right because he was so impressed he’s decided to come and study Introduction to Music Production, Music Composition and Sound Engineering with Point Blank at our school in London. Beginning in January next year, Ravine will be regularly vlogging his experiences on the course, so keep an eye on our socials in the new year. In preparation, we invited him to come and take a look at our fantastic Orsman Road studios and see where he’ll be studying. DJ Ravine was shown around our studios by none other than Point Blank’s CEO Rob Cowan. They had a look at some recording studios for live music and radio, our flagship Studio 1 complete with SSL mixer and the DJ room kitted out with industry-standard Pioneer DJ 2000 Nexus CDJs. You’ll also hear Rob talk about the most important component in what makes Point Blank so special: our expert instructors. Check out the last video we made with DJ Ravine below. To follow the vlog series from DJ Ravine subscribe to our youtube channel where you can find loads of tutorials and track deconstructions. If you like what you see from us at Point Blank, we’d be delighted to welcome you to take a course with us. You can find out about all of our London courses here, and if you’d like to speak to an admissions officer don’t hesitate to email or call +44 20 7729 4884. The post Get a Guided Tour of Point Blank’s London Studios with YouTuber DJ Ravine appeared first on Point Blank’s Online Magazine. Here at Point Blank, it was always our aim to be able to offer degree level courses to our students, and in September of last year we began our first BA Honours courses. So you can imagine our delight when our first student obtained a BA (Hons) in Music Production & Sound Engineering just one year later. That student was Antoine Karam, and he kindly agreed to tell about his background and his time at Point Blank as he became a part of our school’s history. I learned a couple of instruments when I was younger and played the piano by ear. I got influenced mostly by my mom and my 3 sisters since they are singers which pushed me to listen to many different tracks of many styles and languages. What made you decide to come and study at Point Blank? I started DJing when I was 16 years old and then moved to basics of music production in 2015. I found PointBlank online and other music schools but PointBlank seemed the most interesting, as it has many different courses to learn from and information from all aspects of the music industry. What have been the highlights of your time at Point Blank? I think that the whole 2 years were amazing. Learning many different courses from different tutors gave me more knowledge and different opinions on many aspects, however, in one of the modules we were required to put on an event and my group was able to make good profits which is something that I would mark as a big highlight from the time I spent at PB. What have you been working on since graduating? Do you have any gigs/projects you’ve been working on? I had a couple of DJ gigs while studying with PB but for the moment I am more focused on my own music production skills and I’m planning on working in the gaming industry. What would your top tips be to new students coming to PB? My top tips would be: one – don’t miss classes since you can get new information from tutors even if you know the course you are working on and, two – try working every day on your music because you will always find new things you didn’t know and you will always have new questions to answer. 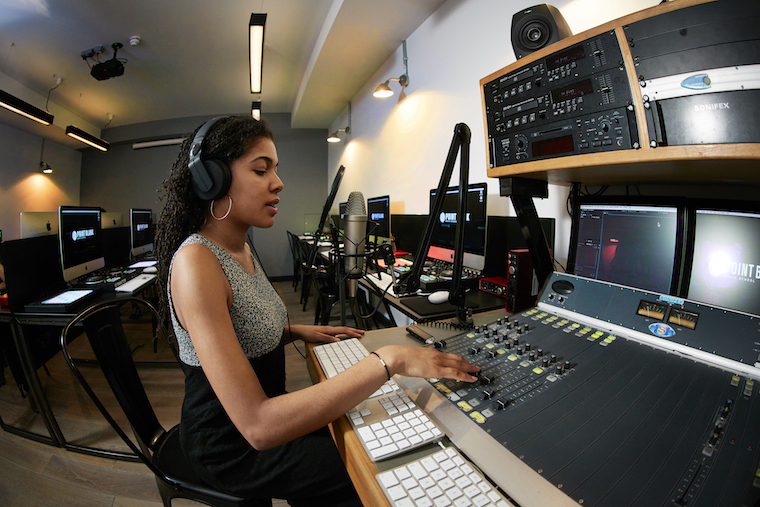 Check our website for more information about BA (Hons) Music Production & Sound Engineering in London. Or, if you live internationally, from this year our you can study at degree level online. More information on that can be found here. For information on our entire range of courses in London, Los Angeles, Mumbai, Ibiza and Online, head to our website. The post Antoine Karam Interview: PB’s First BA (Hons) Degree Graduate appeared first on Point Blank’s Online Magazine.